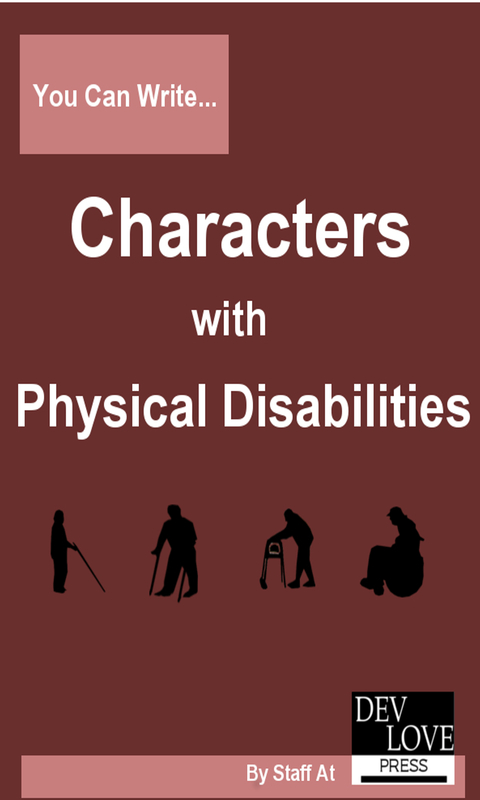 The information you need to write characters with physical disabilities effectively! At DLP we have put together this reference manual to help writers everywhere create realistic and compelling characters who have physical disabilities. You’re writing a book and one of your characters has a physical disability. Maybe it’s crucial to the plot. Maybe you thought it would be nice to give your character a more unique and unusual back story. Maybe you just want a realistic book and in real life sometimes people have disabilities. Even in a fiction book, you’re going to want to get the details right. Is someone with a vision impairment really going to walk up to a stranger and start feeling his face? Can someone with Muscular Dystrophy feel their legs? How does someone without legs drive a car? How does a spinal cord injury really impact sexual function? The second part includes helpful essays about disability in fiction, including common cliches to avoid and playing with stereotypes. The information in this book will guide you in creating a unique and compelling story where physical disability adds to the richness of the book you are creating. Why Include Characters with Disabilities?. Ensuring Your Story is Accurate. Disability Shouldn’t Be a Surface Metaphor. Disabled People Have Just as Much on Their Minds as Anyone Else. People with Disabilities Are Biased Too. Not Everyone Has A Perfect Set Up.. The Disability Isn’t the Story. Disabled Villains Should Be Believable Villains. Playing with Stereotypes, or, The Last Thing Anyone Expects. Prompts for Playing with Stereotypes.